the latest and best options in dentistry. Providing you with the highest quality dental care. Dr. Faine has practiced in South Florida for over 40 years. 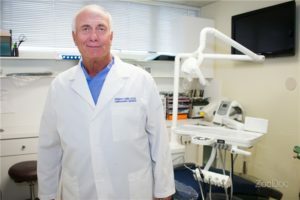 He is constantly educating himself and his staff on the latest innovations in dentistry. Our goal is to eliminate the physical, psychological and emotional problems associated with dental diseases. We strive to provide this care in a fun and loving environment of mutual respect and admiration for ourselves and our patients. During your visit, we will make every effort to care for your dental needs and the needs of your family. To assure you of the finest quality care we offer many services to accommodate you. When scheduling your appointment, we ask for your insurance information and will contact your carrier before your visit. We also have financing options available. We offer the highest quality dental care by using state-of-the-art equipment & procedures. This allows us to diagnose & customize treatments for your needs. We are qualified to handle all aspects of your dental care. Our practice only includes professionals who take your oral health very seriously from start to finish. With over 40 years of dental experience and highly skilled with dental implants, rest assured Dr. Robert Faine will be your dentist of choice for many years to come. A dental implant is a titanium post that is surgically positioned beneath the gum line that allows us to mount replacement teeth or a bridge into that area. No more missing teeth or loose dentures. An implant doesn't come loose like dentures. 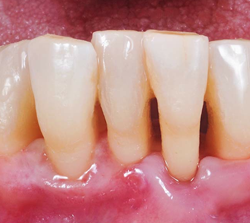 Dental implants also benefit general oral health because they do not have to be anchored to other teeth, like bridges. 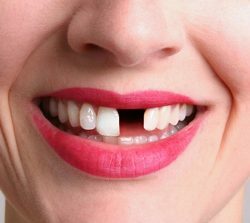 You don't have to loose your teeth due to periodontal disease. 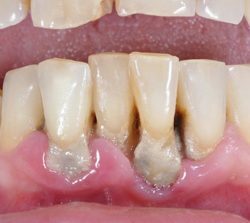 If you have been diagnosed with periodontal/gum disease, the good news is it can often be treated an we will do our best to save your teeth. If you have bleeding or painful gums, please call and schedule with us as soon as possible so we may better assist you. 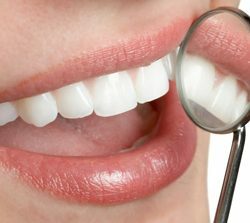 We will take a nonsurgical approach if possible which involves a special cleaning called "scaling and root planing" to hopefully remove the plaque and tartar deposits on the teeth and root surface. We may also recommend medications/antibiotics to help control infection and pain. If we cannot accomplish what is necessary from cleaning and medications, we may have to do surgery to remove inflamed tissue and reduce damage to the bone. I came to Dr. Faine not knowing what to expect. I was pleasantly surprised with the professionalism and friendly staff. You are in good hands with this Dental office. I think doctor Faine and his assistants are very professional and they help me with my problems. Also, the price was reasonable for the amount of work they had to do. I highly recommend. Dr. Faine is wonderful! He is considerate, proficient, professional, and all the while he is also pleasant & has a great bedside manner and makes his patients feel very comfortable and well cared for. Dr. Faine is very professional. Discusses everything that is going on and always asks if you are okay during the procedure. I recommend Dr. Faine for all your dental needs. The staff is very friendly and it is kind of like a family atmosphere, as soon as you walk in they know who you are and are always friendly. The staff was polite & knowledgeable, the Dr. Was also very funny. They have financing options if you don’t have dental insurance. They made my dentist experience easier. The best I have been to in years very nice and professional. My teeth are very clean, like new! Thanks to everyone at the office. A solid practice with competent and pleasant techs. Great experience. Great dental hygienist!! Very thorough and professional. Will definitely go back!! Your smile is often the first thing someone notices about you. In-office cleanings help remove stains and reduce the risk of cavities. Ask about our teeth whitening options! Looking for an alternative to metal braces? ClearCorrect is the clear and simple choice for patients of all ages. With ClearCorrect, achieving your ideal smile is easy and effortless. No matter what cosmetic service you require, our experienced staff will ensure that your procedure is done in a way that is comfortable for you. Everything is done in our office. No more missing teeth or loose dentures. In many instances, you come in without teeth and leave with teeth the same day. Dental Implants look and perform like natural teeth. Dental emergencies are unpredictable and can happen at any time of the day. If your tooth is damaged and you are suffering from pain, contact us immediately. We perform many surgical procedures daily, all are performed with your comfort and care as our priority. We make sure you understand the process from start to finish. Learn about periodontal disease and the many options available for treatment. We specialize in the diagnosis and treatment of periodontal disease and other conditions. We have a few options available to start your new smile!